AT&T likes to claim that it carries the most wireless data traffic of any mobile carrier, and, in 2009, claimed that it carried 50 percent of the nation's mobile data traffic. But a recent report from ABI Research challenges this, stating that, in 2009, Verizon and Sprint each carried more data traffic than did AT&T. According to the report, published Monday, Verizon and Sprint together carry 63 percent of the nation's mobile data traffic, and each company individually carried over 16 billion more megabytes of data than AT&T did. ABI analyst Dan Shey admits that AT&T did have the most activated devices in 2009--but that more devices does not necessarily mean more data traffic. Rather, data traffic is most affected by laptop mobile data connections, and both Verizon and Sprint "far exceed" AT&T's laptop connections. ABI Research predicts that Verizon will maintain the top data traffic position over the next five years, but that AT&T's share will reach number two by 2012. 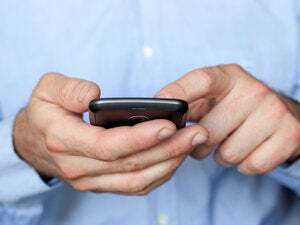 Nearly all operators will see their mobile data traffic levels "increase eightfold" from 2010 to 2014, says the report. AT&T has been criticized repeatedly for its poor network and 3G service, despite the fact that a recent PC World study showed AT&T to have the fastest 3G download speed of any network. The operator has often claimed that it carries the most wireless data traffic, presumably as an explanation for consumers' network woes. Studies have suggested that the iPhone is partially to blame for AT&T's network issues, as AT&T saw a 4000 percent jump in network data usage after the release of the iPhone 3G (AT&T claims that iPhone users use 10 times more data than other users). AT&T even claimed, last December, that it was the sheer volume of data usage in big cities (New York and San Francisco) that was crippling the network. Of course, AT&T never takes criticism to its network lying down: an AT&T spokesperson told Broadband Reports that the study isn't accurate. According to AT&T spokesperson Seth Bloom, "It is not clear how ABI Research reached its conclusions, but I can tell you that our research and analysis of other third-party data indicates that AT&T carries more mobile data traffic than any other U.S. provider." According to ABI analyst Dan Shey, ABI Research compiled the report using third-party data and preliminary data from carriers. Though AT&T spokesperson Mark Seigel told CNET that AT&T was not contacted to provide data for the report. Shey suggests that AT&T's network issues may stem from the fact that its network doesn't cover as large of an area as Verizon's and Sprint's networks. I wonder what AT&T has to say about that?